In baseball, when you win 104 games in the regular season, it is expected that you go to the World Series. That is not anything that can be questioned. 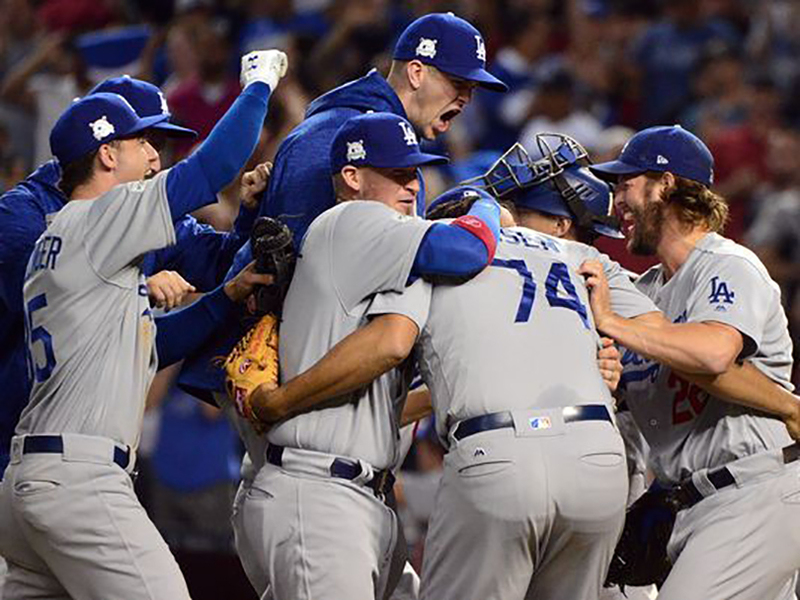 However, if the Dodgers don’t have enough pressure riding on the outcome of this post season, I want to remind my business friends that real estate economic health and the continued prosperity of an 8-year up cycle, might be determined by the actual win or loss of the Dodgers. When Magic Johnson retired, we hit a down market. When the Lakers went south in mid-2011, the market crashed. I longed for the Showtime years (and Jack Nicholson in his floor seat). The last Dodger championship was 1988, and we all know what happened in 1990 (the Resolution Trust days). Today, our heroes have new names and are a mix of rookies and veterans along with a Hall of Fame pitcher in Clayton Kershaw (who’s last name starts with a “K”, just like Sandy Koufax, another lefty from heaven (or hell if you’re not a Dodger fan). They crushed Arizona in the first round 3-0, but the real test is just around the corner against the Chicago Cubs. We also have pro football back in Los Angeles, with the Rams and Chargers, who may be the Clippers of the NFL (no disrespect to the players or coaches). With two Stanley Cups after decades of hockey drought, Los Angeles loves our Kings. The reality is that this is a Laker/Dodger town and we are thirsty for a championship! This has always been my favorite time of year for pro sports, with football, baseball playoffs and the start of the basketball season. Like or comment if you are with me in rooting for the Dodgers to go all the way this year! A seasoned real estate professional, Bradley Luster has been a consistent Top Producer for Major Properties for 33 years. Mr. Luster joined Major Properties as a sales agent in 1986. In 1992, he and his brother Jeff became owners of the firm started by their father, Arnold Luster, in 1964. Mr. Luster is the President of the firm and has literally sold millions of square feet in the Downtown Los Angeles real estate market.